Harrah’s is undoubtedly one of the most recognizable brand names in all the casino industry. So it goes without saying that Harrah’s Philadelphia is in an enviable position to capture significant market share should it launch an online casino and/or poker site in Pennsylvania. And we believe it will do both. Caesars Entertainment, under which the Harrah’s brand presides, is not only the largest owner and operator of land-based casinos in the world, but is an ardent supporter of online gambling. Already in New Jersey‘s legal online gambling market, Caesars operates several sites, one of which is branded Harrah’s Casino. Harrah’s Philadelphia, one of the largest brick & mortar casinos in Pennsylvania, will likely have access to the same powerful iGaming partners and brands that it does in New Jersey, where the industry leading WSOP.com operates on Caesars’ license and is powered by software from 888 Holdings plc. As 888’s technology is better geared towards poker, Harrah’s could also be likely to enlist a different partner for its online casino games, such as NYX Gaming (now part of SG Digital) which provides software for Caesars Casino. Harrah’s also seems willing to slap down a hefty sum of marketing and promotional dollars to bolster its online brand, on top of the $10 million in license fees it has already agreed to as a part of its application to the Gaming Board in July, which was approved on August 15. On October 31 Harrah’s also was approved to add sports betting. All of this is good news for players, who can expect a superior gaming experience, run by an experienced operator — and one who is willing to lavish its players with Total Rewards points and a bevy of high value promotions. Both bonuses are subject to a 20x turnover requirement on any game, meaning a player who receives the full $300 bonus will have to wager $6,000 before the bonus clears to their cash wallet. Players only have 7 days after depositing to clear their bonus. However, the bonus unlocks in $10 increments, so partially clearance is an option. Of course, there’s always a chance the bonus will be more lucrative. Perhaps Harrah’s offers $20 free or a monetary cap of $1,000+ on its first deposit offer. These numbers aren’t unheard of in the US regulated iGaming market. Or Harrah’s may go an alternative route. Instead of cash, it could offer new players free slot machine spins. There’s even the possibility that Harrah’s will offer a cash refund on a player’s initial losses up to a certain amount, essentially allowing them to freeroll the casino. What advantages will Harrah’s online casino hold over the competition? Total Rewards: Caesars affiliated casinos boast what’s arguably the most renowned casino loyalty program in the world: Total Rewards. And we fully expect Harrah’s to deeply integrate the program into its online site. In all likelihood, players will earn Total Rewards Tier and Rewards credits for their online play, with Tier Credits applying to their land-based Total Rewards status, and Rewards Credits being redeemable for online cash or for comps at any Caesars affiliated casino. The benefits of moving up the Total Rewards ranks are numerous, and with so many Caesars casinos littered around the country, players will hardly have to stray too far from their home to take advantage of the program’s myriad benefits. Cashiering: Harrah’s online casino in New Jersey was among the first to offer PayPal, so it wouldn’t surprise if its Pennsylvania counterpart integrated the popular eWallet into its cashier as well. Depositing players will also be able to fund their accounts via ACH, online banking transfers, 7-Eleven PayWithCash, and credit/debit card transactions, among other means. Big promotions: Sharing a name with one of the most prestigious brands in casino gaming has its privileges, for players that is. Look for Harrah’s Casino to throw its weight around by way of some high-value promotions. Some of these may manifest as tie-ins to promos at brick & mortar sites. For instance, in the NJ market, online players were given the opportunity to win entries into the Millionaire Maker Slot Tournament finale. Harrah’s is well-aware that limiting one’s reach often spells doom in the iGaming industry, so look for it to offer its software across a number of platforms, including PC, Mac, Android, and iOS. 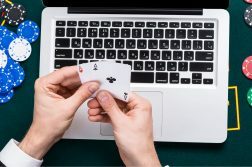 Although more and more players are choosing smartphones and tablets as their go-to gambling devices, many still preference their desktop or laptop computers. And for good reason. PC/Mac gaming is still the (slightly) superior choice for those who prefer big game libraries and easy to traverse interfaces. Most likely, Harrah’s online casino will be browser-based, and will be compatible with a number of up-to-date browsers, such as Google Chrome, Mozilla FireFox, and Safari for Mac. Players waiting for the bus, at the doctor’s office, or on line at the grocery store will be able to kill time by firing up Harrah’s Casino from their mobile device. We suspect that the app will initially be accessible from Android and iOS powered devices exclusively, as long as the operating systems are no more than a few years old. However, there’s no saying how the mobile industry will evolve, and if another OS becomes popular, we’re all but certain that online casinos will make the jump. One word of caution: in the NJ market, Harrah’s for some reason failed to roll out an Android app until about four years after launch. It’s pretty unlikely that Pennsylvania players would have to wait as long, but should the app be powered by 888 a slight delay wouldn’t shock. A casino without games is like a bank without money, so naturally the online casino by Harrah’s will be chock full of slots, table games, and presumably more. Just how many games may depend entirely upon which software it uses. Should it opt for NYX’s gaming platform then we’d expect to see hundreds upon hundreds of games, spread out across a bevy of appealing formats, but not too many exclusives. On the other hand, a partnership with 888 would likely yield a much smaller game library, but one with more jackpot slots and more exclusive titles. We’re expecting slots to be the most plentiful game format on Harrah’s Casino but also the one with the worst return to player. That’s nothing new, as online slots typically return in the vicinity of 95% — much better than land-based slots but worse than just about all video poker and table games. We are slightly concerned that in Pennsylvania the returns will be even lower, as operators have to combat an oppressive 54% tax rate on slots. That being said, some slot manufacturers only offer one rate of return for their online slots, and generally it’s on the high side (i.e. NetEnt games are notorious for returning 96%+), so selective players will still find good value. Again, we should reiterate that if Harrah’s aligned with 888 for online casino, the slot selection could tend toward the small side (~100 at launch). But a partnership with NYX could result in a slot library of over 300 games. Pennsylvania gaming regulators have indicated that online table game rules will closely resemble those found at land-based casinos. That’s exceedingly good news for Blackjack aficionados, as PA offers some of the best 21 games in the country. Players can split pairs twice, for a total of three hands. Admittedly, this isn’t the very best ruleset found in Pennsylvania, but it’s awfully close. Harrah’s blackjack online will pose additional benefits to players beyond the favorable rules. For one, the minimum bet will be set much lower ($1 or less). And of course, the rate of play will be much faster. Not to mention, there’s really nothing preventing players from looking up the rules on the fly to find the best available play. Live, players need to have a blackjack basic strategy card handy to do so — no smartphones allowed at the table. Roulette is another area where online excels over live. Harrah’s Philly only offers the American version of the game, where players suffer lower odds due to the presence of a 0 and a 00. American Roulette will probably make its way online too, sure, but they’ll also be European variations of the game. What’s great about European Roulette is that the wheel features just a single zero, effectively chopping the house edge in half. Better yet, minimum bets online should hover around $1, much lower than what players are used to at land-based casinos. And of course the pace of play is much faster online too. Not going to lie, there are some potential issues brewing with Harrah’s online video poker offering. It’s also plausible that we’ll see alternative video poker variations like Super Times Pay and Ultimate X, although that’s hardly a guarantee. Harrah’s Philly offers decent paytables relative to other PA land-based casinos, and we expect the online site to do the same. That said, we suspect that the multi-line variations won’t offer games that return over 99% — and possibly as low as the 96-97% range. Stick with the single-line games if you’re looking for the best value. Online casinos have added a bevy of new innovations in recent years, and some of these might make their way to Harrah’s online casino. Live Dealer games are a distinct possibility. Harrah’s has more than enough financial muscle to get these going, and both the 888 and NYX platforms can support these live/online hybrid games. Virtual Sports, where players bet on simulated racing and sporting events, is even likelier. Already, the PA lottery has plans to support this format, and Virtual Sports is presently available on a number of legal online casino sites in neighboring New Jersey, including CaesarsCasino.com. It would be downright negligent if Harrah’s online casino in Pennsylvania didn’t integrate Caesars’ award-winning Total Rewards player rewards program. Seeing that Harrah’s is one of the biggest casino brands in the world, we don’t envision them making that faux pas. Players earn Tier Credits, which counts toward their tier status, and Reward Credits for real-money gambling, and spending on hotel stays, shopping, dining, and amenity experiences at Caesars affiliated resorts. Tier Credits and Rewards Credits are earned in parallel. In addition, Caesars incentivizes players to really ramp up their play via Tier Credit Bonuses, where players that put in a certain amount of activity during a single day will receive a TC booster. For instance, if a player racks up 5,000 TCs in a day, they’ll receive a whopping 10,000 TC bonus, evelating the player straight to Diamond level. Admittedly, these earn rates are not as favorable as those found at Caesars land-based casino, but it’s something. What’s more, players can convert their earned online Rewards Credits directly to cash, or have them applied to their land-based Total Rewards. We’re hoping that Harrah’s online casino in Pennsylvania offers a similar deal, and goes even further tying its online and land-based brands. Many of the same methods used for depositing funds will be enabled for withdrawing hard earned winnings. Other withdrawal options may include a paper check. By the time Pennsylvania online gambling goes live, deposit acceptance rates should hover near 100% for most transaction vehicles, with just ACH and Visa/MasterCard lagging slightly behind. Be sure to check out NJ-based online gambling cashiers for a better idea of which banks haven’t yet warmed up to iGaming. 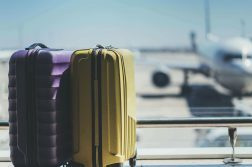 Having trouble understanding a promotion? Want to know why your deposit was rejected? Harrah’s customer service department will be there to help. Live chat: Perfect when you need an answer on the fly. Could be available 24/7, but possibly only during primetime hours. Unlike other racinos in Pennsylvania, Harrah’s Philadelphia’s does not predate the 2004 Pennsylvania law that paved the way for casino gambling. Instead, it didn’t host its first season of harness track racing until September 2006. Three months later, Harrah’s was awarded its slots license by the Pennsylvania Gaming Control Board, and it was off to the races, so to speak. The casino portion of the venue (then known as Harrah’s Chester) opened shortly thereafter, in January 2007. Given its branding, one might think that Harrah’s would quickly become the Philadelphia area’s market share leader. But the Chester moniker didn’t resonate with tourists, and in 2012 the facility rebranded as Harrah’s Philadelphia. The goal of the rebrand was so that the casino could market itself as a regional property, and it worked. Today, Harrah’s Philadelphia is a full-service casino supporting over 2,400 slot terminals, more than 100 table games (including stadium gaming), numerous casual and upscale eateries (including the famous Cove Steakhouse & Raw Bar), and various entertainment options. The casino was recently expanded, adding new gaming and entertainment space as well as casual eateries in 2016-17. There’s no real reason to debate whether or not Harrah’s Philadelphia will enter the online space: it will. The process has already begun. The only questions are when, and who will it partner with? 888 is a serviceable partner as an online poker ally, but for online casino Harrah’s may be best off going with SG Digital. There is also the strong possibility that as Pennsylvania’s representative of the Caesars family, Harrah’s may also likely get to provide their license to the Keystone state’s iteration of WSOP, which will further extend that poker network into a fourth state of shared liquidity. Also, they may wind up either modeling their only possible online sports betting skin on the NJ Caesars sportsbook, or else use it to host DraftKings under the new relationship the fantasy giant has with Caesars Entertainment. In any case, Harrah’s has the financial capabilities to market heavily to patrons during the critical launch period, so we’re expecting it to do well out of the gate. Whether it can maintain or elevate its early market position is going to depend on its game library, loyalty program integration, banking options, promotions offered, and other as yet unpredictable factors.